Mr. 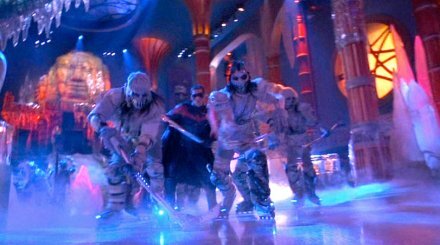 Freeze Henchman Hockey Mask [HMHM2] - $200.00 : Hollywood History Online, Discover the Magic and Bring Hollywood Home! Batman and Robin try to keep their relationship together even as they must stop Mr. Freeze and Poison Ivy from freezing Gotham City. From the film Batman & Robin, this is Mr. Freeze’s Henchman’s Mask. 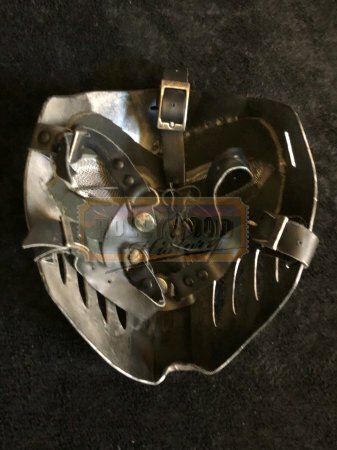 Made of metal with leather straps this mask can be seen during the hockey scene. When you see Robin playing hockey with the henchman while attempting to retrieve Mr. Freeze’s Diamond.